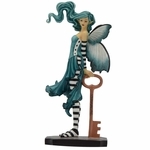 Faerie Glen Harmony Fairy Cat Collectible: Tate & Co. 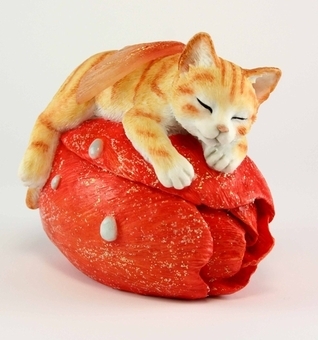 This adorable figurine features a fairy cat! The sleepy kitty is an orange striped tabby, with sparkling wings to match! The kitten is sleeping upon a bright red rose. This fun collectible is sure to delight any cat-lover or faerie fan!